Say NO to cage ! Never put your pet in prison while you travel! Pet Playground Hotel is where your pets can truly have fun while you travel! Travelling is luxury for people but how about pets lacking luxury with its master? Just like you, we are as concerned and hoped for someone reliable to care for them. 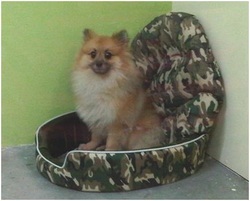 Thus, we have set up a cageless pet hotel for your cats and dogs where all of them will get their own individual space! We are committed to give personal attention, care and bonding with your pets. In additional, we have more than 10 years experience taking care of pets! As much as we would like to offer this service to all, we could only offer our services to limited pets. This doesn't mean that we are choosy or picky on animal services - but limiting our services means that we are committing ourselves to pay full attention to pets under our care. Click here to read TESTIMONIALS ABOUT US! What do I need to do before boarding my pet? What do I need to bring along for my pet's check-in? Sufficient food - every pet's diet is unique with different brand and meat type - and we respect that. You may bring along your pet food to avoid any allergy and digestive irritation to your pet. Leash & Collar - for pets such as dogs, we bring them out for walk daily to exercise and keep them fit! Medical card - should any misfortune happen to your pet during boarding (touch wood! ), the medical card would be a very helpful tool for our panel vet to understand the history of your pet. * Due to high demand, we can only offer our boarding service to limited few. To ensure a comfortable boarding place for your pets, advance booking is required.